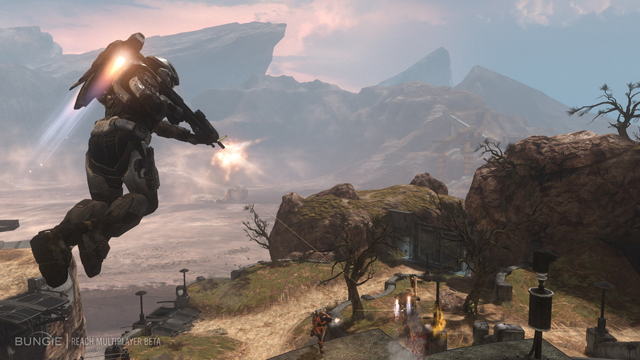 Remember if you buy Halo Reach from Amazon you get a $20 Amazon store credit. 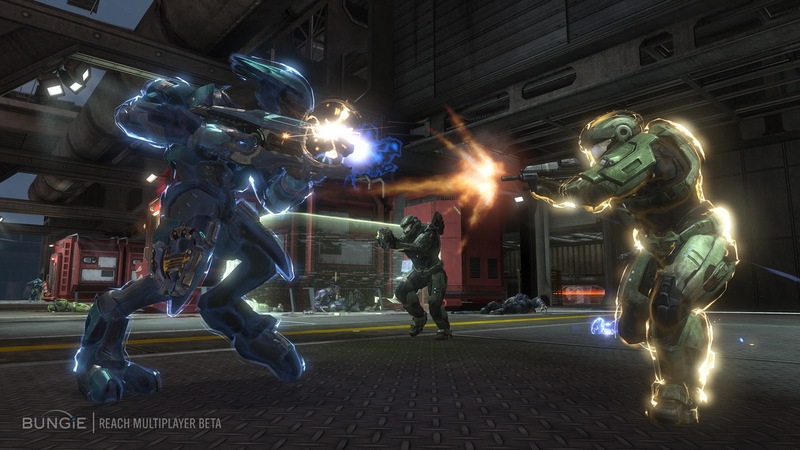 Three articles on their thoughts about how Halo 2 muliplayer worked for them. ONE. TWO. THREE. According to Marcus Tung, "We’re days away from content complete, which means we’ll be hammering on this game for the next couple of months to make sure it’s the best damn thing any of you have ever put in your xbox." Some dude got to play with Jet Packs and confirmed they are an awesome addition to game play. IGN also got to have a play. Of the game type Headhunter they said "Headhunter – no relation to the Sega Dreamcast Metal Gear clone from 2001, thankfully – is a risk versus reward, every man for himself affair. The premise is that each time you kill an opponent they drop a skull, and each skull you collect can be banked at one of the two scoring zones that periodically move around the map. For each skull you bank, you receive a point. The person with the most points at the end of the game wins, but you can end the game at any moment and claim victory by banking ten skulls in one transaction. Sounds straightforward enough." And here's a pretty in depth write up on the beta game play as well. "Active Camo is now an Armor Ability as well, giving the player a limited time to be less visible. Standing completely still makes you completely invisible, while walking, running, and shooting makes you easier to pick out. Armor Lock is an interesting ability: when activated the Spartan crouches and becomes completely invincible, but cannot shoot or move. It's an easy way to soak even the most powerful weapon shots, and if you stay down for long enough, you throw off an EMP charge when you get up, killing the shields of nearby enemies and allowing you to quickly turn the tables. It's a risk/reward move, but when used well it's a very effective tactic." So, what can players expect to find when they visit Bungie.net on May 3rd? Tom Gioconda - In the past, Beta time on Bungie.net meant players simply had access to game history, but for Reach we’ve gone significantly further than that. Not only will you find game history, but your Service Record, aggregate career stats, Commendations, File Share, file tagging, file rating, file searching, file comments, and even Reach Film Render to Video for Bungie Pro subscribers. Most of these features are extremely well polished, and not at all what you would expect a Beta to support.